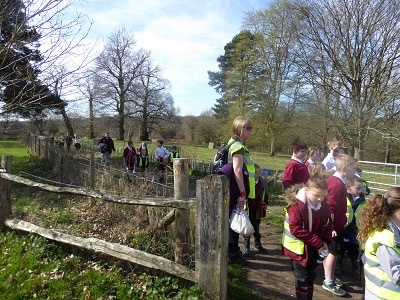 Holy Cross children begin their pilgrimage from Uckfield to Buxted. 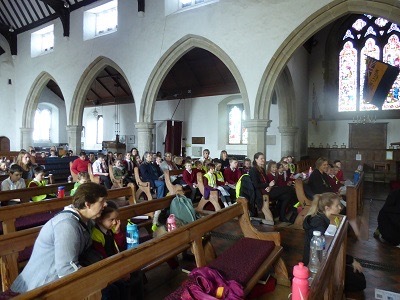 Children and adults from Holy Cross Primary School in Uckfield trekked across town and country on a pilgrimage to St Margaret the Queen Church in Buxted Park yesterday (Tuesday). 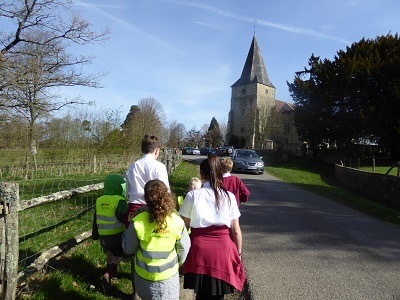 They walked from the centre of town to the church and back to school. 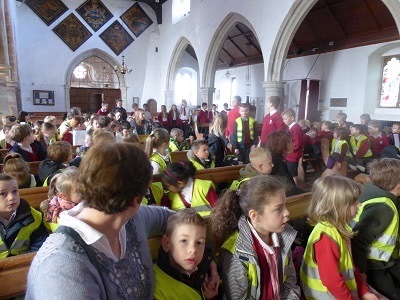 The party, which included children from reception to year six, was welcomed by Fr John Baker who told them about St Margaret, the church’s namesake, a Queen of Scotland married to King Malcolm III. The pilgrimage was organised as a way for the children to think about, commemorate and give thanks to God for those they love and hold dear. 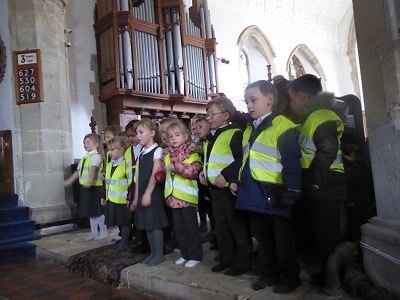 In church they gave thanks for loved ones and each class gave a performance demonstrating a different aspect of the creative arts. 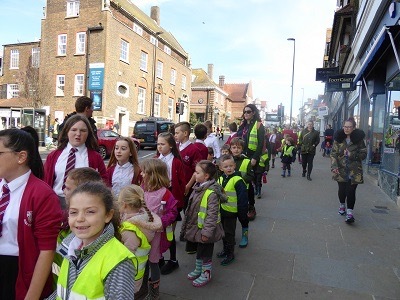 Joyful marching songs were sung, including Sussex by the Sea, which has become a Holy Cross School anthem and is sung on the many expeditions the school makes. 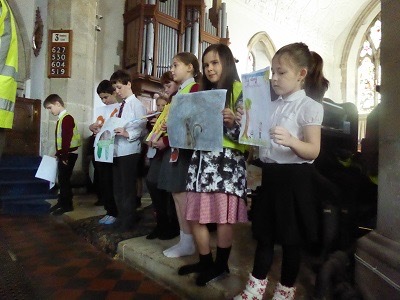 The service ended with a presentation of pilgrim shells the children decorated with the names of their loved ones and headteacher, Mrs Dart, led them in prayer. Year 6 pupil Sienna said: “It was nice because you could see the nature and enjoy the fresh air that we wouldn’t have experienced if we’d been in school. Mrs Dart said: “It was a great adventure and when everyone arrived back at school they were ready for their lunch, having worked up a good appetite.